What are whistleblowers and why should we protect them? In a world in which transparency is not always the norm and in which institutionalised secrecy still allows some to act against the public interest with no fear of being caught or brought to justice, whistleblowers are essential for the protection of our democracies. Several scandals that have hit the news – such as the Panama Papers, SwissLeaks, LuxLeaks, or even cases of sexual abuse in Central Africa – would have probably remained unknown without the courage of the brave men and women who chose to speak up and defend the public interest. Since there is no strong legal protection, whistleblowers often risk their careers, their reputations and their privacy. The pressures they face as a result of their disclosures, which include criminal and civil proceedings, are a clear sign that our democracies have not yet developed satisfactory legal instruments to protect those who disclose information in the public interest. Furthermore, the soon-to-be-adopted trade secrets directive has expanded protections for business’ trade secrets and hence has made even more urgent the need to ensure adequate levels of protection for whistle-blowers across the EU. Finally, wrong-doing often occurs across borders, and often negatively affects the internal market. Why action at EU level rather than national level? Protection of whistleblowers in Europe is very uneven. Where protection exists, provisions tend to be scattered across different laws, with some member states having regulated some level of protection in anti-corruption laws, others in public service laws, and again others in labour, criminal and sector-specific laws, leaving significant legal loopholes and gaps. As a consequence, whistle-blowers across EU Member States enjoy uneven levels of protection, or in six countries, no protection at all. In addition, the public interest in whistle-blower disclosures extends beyond the national level. There is a general European public interest which cannot be reduced to the sum of the particular interests of a given Member State. For example, the LuxLeaks scandal could be considered an example of this: although the authorities in Luxembourg might believe that there is a public interest in keeping their “sweetheart” tax deals secret, it is hard to argue that this public interest is the same for the other Member States, who are losing tax revenue as a result. For this reason, a collection of national pieces of legislation to protect whistle-blowers will never ensure that, within the EU, those who have the courage to disclose information of public interest are properly protected. Is the EU competent to legislate on the protection of whistleblowers? Yes, the EU has several possibilities to provide protection to whistleblowers, as shown by the fact that European legislation already covers those who reveal sensitive public interest information when it comes to the fight against money laundering or against market abuse, so as to protect the functioning of the internal market. In addition, articles 151 and 153(2)(b) TFEU provide a clear and unambiguous basis for EU legislative action which would empower employees to report wrongdoing by setting up a framework that provides for legal certainty and a which establishes a common minimum level of legal protection for workers throughout the Union. After all, although the hardships a whistle-blower might have to face are multifaceted, they almost always start at the workplace and have consequences on a whistle-blowers’ future career prospects too. In choosing this legal basis, we have ensured that the Directive would apply to all sectors of activity, thus covering both the public and private sectors. This directive seeks to protect all whistleblowers, defined as “any worker or contractor who discloses, attempts to, or is perceived to disclose information or supporting evidence that is in the public interest or that is related to a threat or prejudice to the public interest, of which he or she has become aware in the context of his or her work-based relationship.“ By using a broad definition of “worker” (any person employed by an employer, including trainees, apprentices and former employees) we are able to cover a wide range of cases, including for example the case of Edward Snowden, who was a contractor for the US National Security Agency. Does the intention behind the protected disclosure matter? 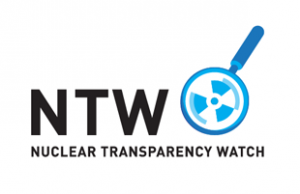 As recommended by the Council of Europe and the UN, and as included in the Irish whistle-blower law, we believe that the personal intentions behind the disclosure of information are not relevant. Instead, we focus on the information itself, and on whether its exposure is in the public interest. In this way, controversies over whether or not selling the information counts as a public interest disclosure are avoided – this is relevant for example to the Swissleaks case involving Hervé Falciani who reportedly offered the information on HSBC’s clients in return for a fee. Since the information itself was beneficial to the public interest, he would be covered by this draft directive. How/to whom can the whistleblower provide the information? According to our proposal a protected disclosure can be made by any means available to the whistleblower. By not requiring the whistleblower to go through a specific reporting channel (except for where the information concerns national security or classified material), we avoid situations in which the whistleblower should disclose information to people or organizations that already know about the potential scandal, which could create a risk that the information is never actually reported. In the directive also include a requirement that the employer or relevant authorities must acknowledge receipt of the whistle-blowers’ alert and must inform them within 30 days of any action taken as a consequence of the disclosed information. What protection does the directive provide for whistleblowers? Protections include exemptions from criminal proceedings related to the protected disclosure, exemptions from civil proceedings and disciplinary measures, and prohibitions of other forms of reprisal, including inter alia dismissal, demotion, withholding of promotion, coercion, intimidation, etc. Furthermore, the directive foresees that there the whistle-blower must be granted anonymity and confidentiality in their protected disclosure. What happens if a whistle-blower reveals trade secrets or information related to national security? The Directive protects whistle-blowers who disclose trade secrets as well as confidential information related to national security, though a specific procedure is envisaged for the latter. In case of an overlap or clash between the whistle-blower protection directive and the trade secrets directive, the provisions to protect whistle-blowers must be complied with. The same is true where the information relates to national security issues. Thus, protection of trade secrets may not be invoked to the detriment of the whistle-blower concerned, even if the information revealed is not actually illegal in itself. In this way we can be sure that the directive would also protect people like Antoine Deltour, currently on trial following the LuxLeaks revelations. The European Parliament’s latest call for legislation to protect whistle-blowers established, in the TAXE special committee report, a deadline of June 2016 for the European Commission to react. We plan to continue to campaign so that the European Commission finally proposes legislation to protect whistle-blowers across the EU. 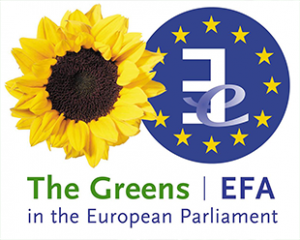 We already have broad cross-party support on the matter, as shown by the numerous European Parliament resolutions that called on the Commission to propose specific legislation.